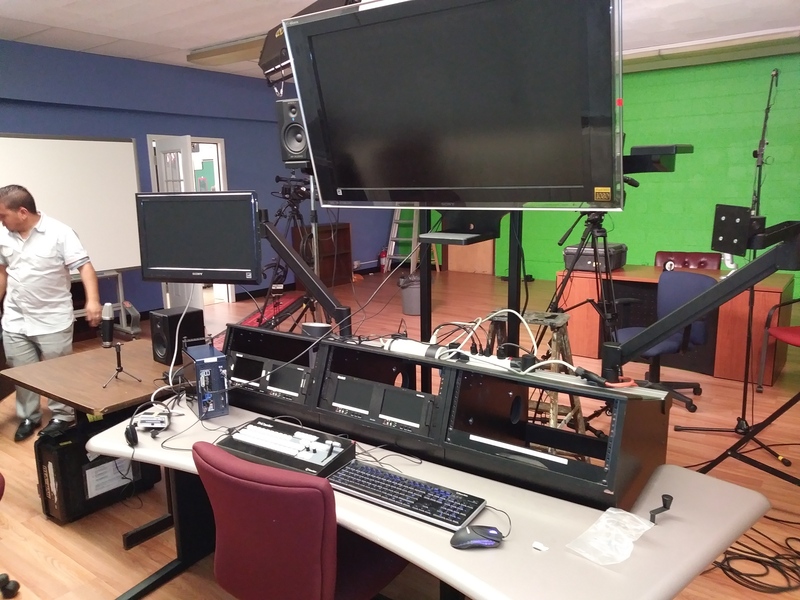 Hawk Alumni | “HCTV” Live from the “Hawks Nest” on beautiful McGinley Square, Jersey City! “HCTV” Live from the “Hawks Nest” on beautiful McGinley Square, Jersey City! WHAT IS GOING ON IN ROOM 319 AT THE HAWKS NEST? What are Mr. A and that old guy with the gray beard and suspenders doing in room 319? 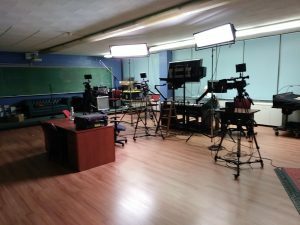 WELCOME TO HCTV “Live from HCTV Studio” on fabulous Mercer St. in beautiful Jersey City. This is the beginning of a great new adventure for our students at Hudson Catholic. 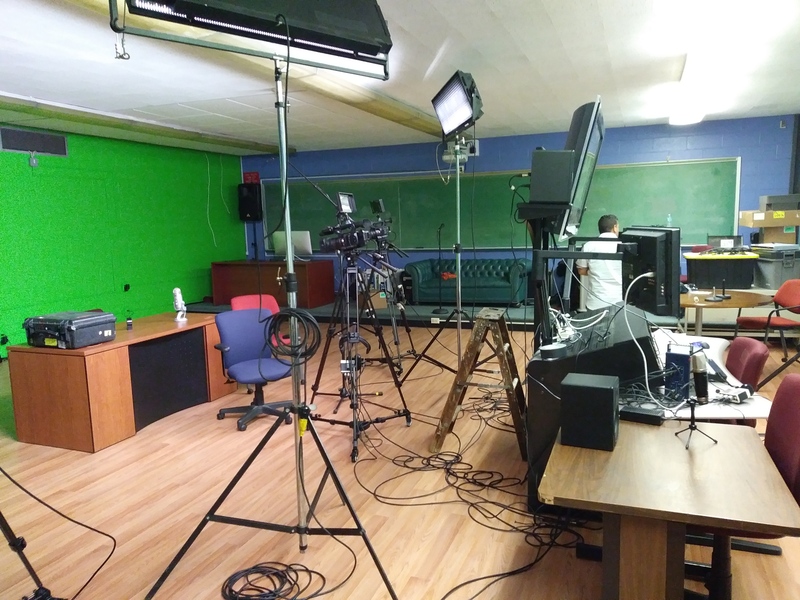 Here are some photos of Rob Astudillo, ’06, Larry Basinski, ’70 and the students getting the new TV studio up and running on the third floor for the Open House a few weeks ago. The Open House drew over 350 people for a tour and information about attending our Alma Mater, “the Miracle on McGinley”, Hudson Catholic High School. Rob Astudillo, ’06, Alumni President and Dept. 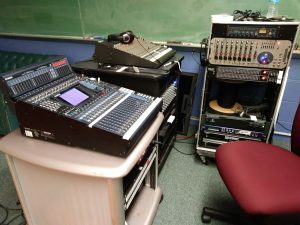 Chair of our Media and Fine Arts dept. wants to show you what is new and exciting in education at the Nest. Here are a couple of photos as the finishing touches were taking place in preparation for the Open House.